“Sara is a co-founder of Emkan Education and Project Leader. She led multiple school screening and strategy development projects. She was also the manager of the Arab International Portal, where she led teams of teachers and content development experts to create Arabic digital content that supports individualized instruction. Sara has developed the capabilities of teachers and school leaders in content development and educational leadership through a series of multiple training sessions. 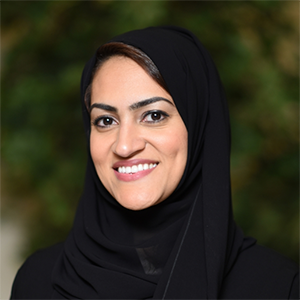 Her experience also includes participating in the development of the professional Saudi teacher standards where she engaged international experts, local district leaders and teachers through multiple national workshops and surveys. Sara is also a fellow at the United Nations Alliance of Civilizations (UNAOC) and an educational reform writer since 2009. She worked as a lecturer at King Abdulaziz University in the department of Curriculum and Teaching and as a special education teacher for children with hearing impairments. Sara holds an M.A. in International Educational Development from Columbia University, USA and a B.A. in Special Education from Dar Al-Hekma University in Saudi Arabia.